Bit a Bliss takes great care in ensuring the safety of your home, and all that resides inside. We only hire after a background check and we are insured and bonded. We are dedicated to being a cleaning service provider with a more professional approach and better customer service than you have ever experienced. We know when you are paying for a service that you expect perfection every time. That is our goal as well, but there will be the occasion that a staff member makes a mistake and misses a shelf when dusting or a spot on the floor. We all make mistakes from time to time and that is why your feedback is so important. We want to praise our staff for a job well done and we also want to address any training or staff development issues as they occur. Just talk to us, we are here to listen and take action. We care about our clients and our service and it shows! • Easy scheduling and price quotes using our web form. • Follow up calls and emails to ensure that you experienced a Bit a Bliss. • Documenting our clients feedback to ensure quality. • Documented consistent cleaning methods for our staff. • Green cleaning options as well as products tailored to your individual needs. • Checklist of services available for our clients. 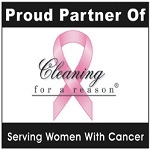 • 24 hour guarantee on all of our cleaning services. • Dedicated Field Managers in charge of quality assurance and training.